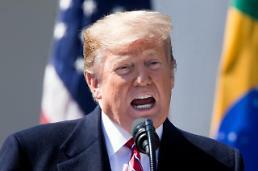 SEOUL -- President Donald Trump should visit Seoul for a trilateral summit with South and North Korean leaders and make a declaration to end the status of war on the Korean peninsula if he wants to see substantial progress in denuclearization, a U.S. foreign policy and security expert said. It makes "a lot of sense" for Trump to visit South Korea when North Korean leader Kim Jong-un meets South Korean President Moon Jae-in in Seoul, Harry Kazianis, director of defense studies at the Center for the National Interest, said, adding it would be "a bridge too far right now" to have Kim in the White House due to a complicated domestic political situation. "Trump can come to Seoul and declare the end of Korean war with Kim and Moon," the expert said in an interview with Aju Business Daily in Seoul. At a third inter-Korean summit in Pyongyang, Kim agreed to visit Seoul and revealed his will to have a quick second summit with Trump and focus on economic development through an early conclusion of denuclearization talks, Moon said upon returning home from a three-day visit to North Korea. 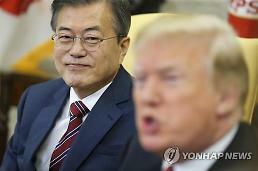 South Korea aims to realize a declaration on ending the status of war by the end of this year, Moon said, suggesting that when complete denuclearization is achieved, a truce peace regime can be written to replace the 1953 armistice agreement that left the Korean peninsula technically at war. "I don't think there will be anything else besides a peace declaration," Kazianis said, adding the peace declaration would be the first step for North Korea to set up some sort of a peace regime as denuclearization is a slow process that may take years. "The peace declaration will be the first step for North Koreans to set up some sort of a peace regime which everyone always talks about. That's the foundation of the whole thing," the expert said. "There will be a model where Kim makes a concession and America weakens economic sanctions a little bit. Then it goes on step by step probably for years." If Kim thinks of making big concessions, he needs to make "a big one so that he can go back home and show people what he's done," and Trump can say he ended the Korean War, said Kazianis. 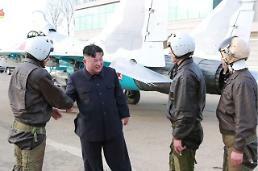 He said North Korean would not easily give up its nuclear program as history proved. "I think we have to understand that Kim will not hand his nukes for nothing. This is going to be a process that is slow with a lot of bumps on the road and it's going to take time." In the process, regularized communication is important to get something done, the expert said, citing dialogue between former U.S. president Ronald Reagan and former Soviet leader Mikhail Gorbachev. "Thinking of cold war, Reagan and Gorbachev did not always go well with their meetings, but you have to meet each other to get something done," he said. "You got to know people you are working with if you want to have breakthroughs. It's like asking somebody to marry you without a date," Kazianis said. For North Korea, he said it is hard to meet the 2021 deadline set by US Secretary of State Mike Pompeo. "The deadline is great to say that but it will take more. We don't know the size of nuclear armament in North Korea. It's like going on a diet without knowing how much you weigh." Trump is going to offer more concessions as Kim could be scared that a new administration can suddenly change policy and go hard on North Korea, the expert said, warning Chinese President Xi Jinping would look for "some sort of ways to get back" at Trump in the Sino-U.S. trade war. 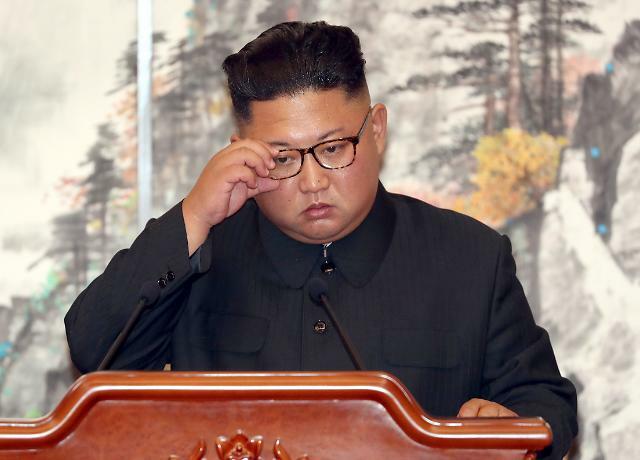 North Korea's economy contracted 3.5 percent last year after an expansion of 3.9 percent a year ago as China joined the international community to impose sanctions against its impoverished communist ally, according to South Korean central bank data. It was the worst performance since 1997 when North Korea's moribund economy shrank 6.5 percent. Nearly 90 percent of North Korea's exports go through China. The easiest way is to ease a pressure campaign on North Korea because Xi has no effective tool to hit back, Kazianis said. "We are already seeing evidence of that. The border between North Korea and China is getting porous. I think the maximum pressure on the border will eventually die in the next few weeks." 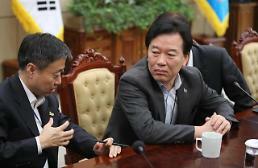 "That will have side effects on the Korean peninsula and what you can do with North Korea. So Trump will be going to become a little more flexible because he can't fall back to maximum pressure if this all falls apart," the expert said. "That's why we will have the peace declaration and the Trump-Kim summit because Trump's leverage will slide in weeks to come. If you are going to make a deal, now is the best time for Trump while you've got the most leverage," Kazianis said.